Let’s get this out of the way first, OK? 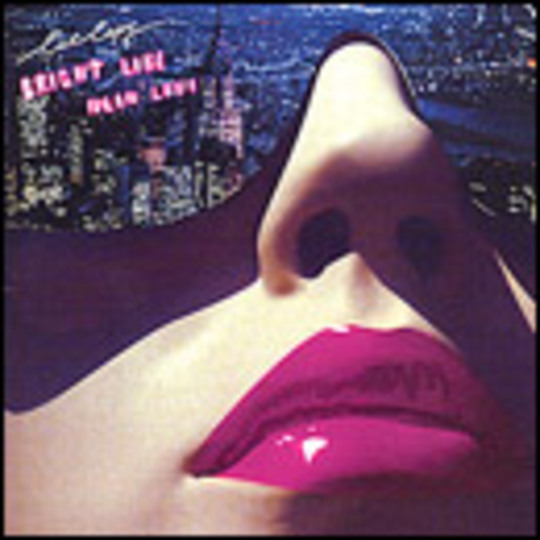 Bright Like Neon Love_ is one of 2005’s best albums. There. That wasn’t hard, was it? Of course, there are some readers who’ll simply laugh and say ‘2005? I picked up an import copy of the band’s stellar debut last year after hearing ‘Future’ on Franz Ferdinand’s Radio One Christmas set’. Others will no doubt claim they followed the advice of ‘Mylo, who thought they were so good he chose them to support him on his UK tour! Now if you’ll excuse me, I’m off to buy an army jacket and get half my hair shaved off'. OK, well fair enough. Still, if you haven’t heard about the best Australian group since The Avalanches** (both bands are on the same record label, Modular), now’s your chance. Assisted in part by French house guru Phillipe Zdar (of Cassius fame), Bright Like Neon Love feels like the record The Human League could have made if they’d remade Fleetwood Mac**’s _Rumours in 1985. It’s like the soundtrack to the best party you’ve never been too, but always wish you had. Press play…..You arrive with a couple of mates, and survey the scene whilst in the background the DJ spins non-stop 80’s electro classics. Suddenly, you spot someone cute across the room that catches your eye (‘Time Stands Still’). You stride over purposefully and try to give it your best shot. As nervous as you are, all you can talk about is your lifelong dream to become a conceptual performance artist in Covent Garden. However, the object of your affection seems distant, as if their mind is elsewhere (‘Future’). Suddenly, the DJ steps in to save the day, dropping a track that has everything – handclaps, synths, and even the sound of a telephone on speed dial. Everyone has stopped talking about why ‘Pharrell has lost it’ and the merits of ‘MySpace over Friendster’, and started dancing as if they were in a Pulp video (‘Saturdays’). You take a minute to catch your breath, exhausted but exhilarated because you kept up with your amour on the dancefloor. Respite is short-lived however, as you find yourself dragged back onto the floor, pogoing like your life depends on it. You feel fantastic, and realise that if you go home alone tonight then it’s not the end of the world anyway. Heck, it probably wouldn’t have worked out (‘Going Nowhere’). Excusing yourself for one moment, you enter the toilets and splash water on your face to make sure your not dreaming. Cute, sure. My type? Yeah, just like I’d imagined. Real? Nah, I’ll probably blow it like the last time. Sigh (‘That Was Just A Dream’). Upon your return, you notice the object of your affection has left the room. You panic for a moment, then run outside, ignoring the pleas of your mates to stay. The sky above is filled with more stars than you’ve ever seen before, but you don’t care because you’re gutted (‘The Twilight’). Every sad song you’ve ever heard enters your mind, and you scroll through them until you find the one that best suits your forlorn state. Last Night I Dreamt That Somebody Loves Me? No, no need for gladioli. No Distance Left To Run? Heck, you hadn’t even got your cross-trainers on, let alone gone for a jog. The night appears to be over, and the night bus looms large. What just happened? It must have been a dream (‘Autobahn Music Box’). ‘Hey,’ a voice behind you whispers, ‘where did you run off to?’ Before you get to ask the very same question, you turn around and all is right in the world. An embrace, then a kiss, and suddenly your head is swimming (‘Bright Neon Payphone’). When you wake the next morning, it feels as if last night couldn’t have happened. Did it? You roll over, and realise it wasn’t. Your dream came true (‘A Dream’). Stop….Right, where was I? Oh, that’s right. Cut Copy’s debut mixes emotion and technology to perfection, with 12 tracks of electro-pop that you’re going to hear in every Urban Outfitters, vintage clothes shop and fashion parade for the next six months. That’s not such a bad thing though, because when I’m next shopping for an overpriced torn polo shirt to wear later that night, at least I’ll be too busy humming along to ‘Saturdays’ to notice the 80 quid charge. Damn.